The FL Studio 10.0.9 update includes FL SynthMaker 2 included as part of your Lifetime Free Updates, click on the image below and get the FL Studio 10.0.9 installer now. Don't forget to download and install a new FLRegKey.reg file from your ACCOUNT. Registered customers may choose to install the FL Studio 10.0.9 patch from the this Looptalk thread. Coming up in a future version of FL Studio is a new Performance Mode that allows users to trigger Audio, Automation and Pattern Clips in a real-time performance using MIDI controllers, a Mouse or the Typing Keyboard. The team are interested in feedback and aspirations from FL Studio customers for this new feature. Click through to the link here below the videos. FL Studio Producer Edition (or higher) owners can upgrade from FL Studio SynthMaker to SynthMaker Professional Edition. 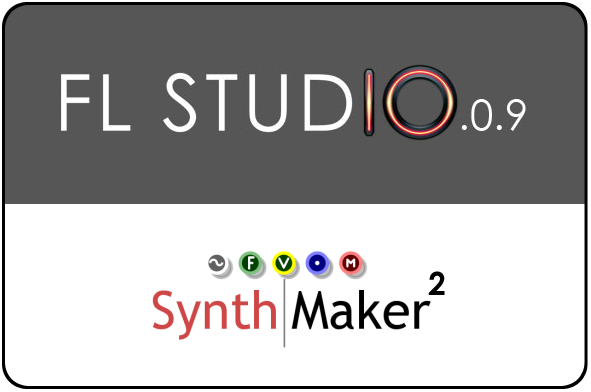 This will allow you to export SynthMaker projects as VST plugins for use outside FL Studio.